Ridesharing services are having a dramatic effect on the number of taxicab rides in the nation's capital. 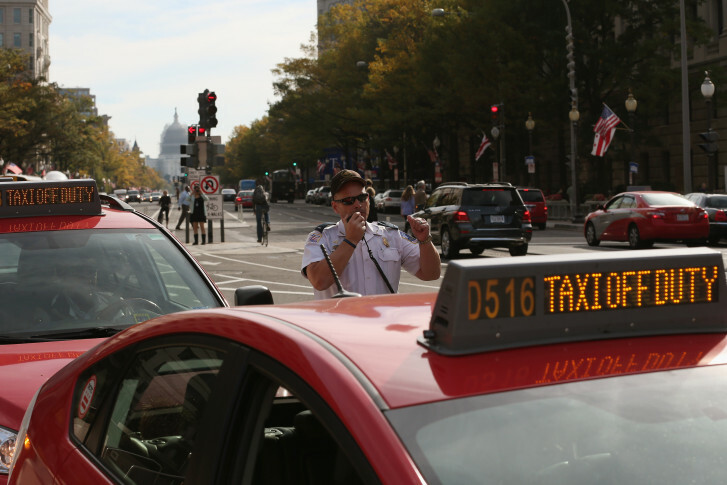 WASHINGTON — The nation’s capital once boasted the highest number of taxis per capita of any city, but in 2019, the number of taxi rides in the District are plummeting — leaving some wondering if the industry is doomed. According to AAA Mid-Atlantic, while the number of “one-tap” ride-hailing trips using services including Uber and Lyft could approach 50 million rides, just over 10 million trips will be taken in taxicabs. In the past three years, AAA says D.C. data shows a 32.6 percent drop in the number of times a taxi was hailed in the city, even though fares charged by cabdrivers are generally cheaper on quick trips than app-based fares. In addition to putting more financial strain on D.C. cabdrivers, who “earned a median annual salary of $24,800 in 2017,” according to the U.S. Bureau of Labor Statistics, ride-sharing vehicles are also putting a strain on commuters and residents in the District. In 2018, the D.C. Council raised the tax on ridesharing services from 1 percent to 6 percent to help cover the District’s annual commitment to fund Metro. With more private vehicles ferrying passengers in the District, AAA says they are making it more difficult to navigate the city. “Ride hailing services such as Uber and Lyft contribute to traffic congestion, add wear and tear to the District’s roads, and there is evidence that they draw people away from public transit,” according to a report prepared by D.C. council staff. AAA suggests more and more residents could be purchasing cars in the District, with the intention of using them in a ride-sharing capacity. The number of registered vehicles in D.C. jumped to 337,100 in 2016, according to Federal Highway Administration data. The projected FY 2018 total of 10.1 million rides is less than half of the 21 million who hailed taxis in 2012, and 20 million in 2013.